Welcome to Part 2 of Tips for Wet Shaving While Traveling! Today we’ll be covering the supporting players of your wet shave routine: brushes, soaps/creams, and aftershaves. Whether you plan to bring the current product you use or will be purchasing a special travel-friendly version, we have solutions that’ll see you through your trip seamlessly. Check back for Part 3 soon, and don’t forget to read up on Part 1: Razors & Blades here. Many wet shaving brands offer travel-sized brushes. These tend to be small brushes, and often come in travel tubes with caps, like the da Vinci UOMO Voyage 295 Silvertip Badger Travel Brush. This design protects your brush while allowing air flow to prevent the growth of mold. You can also try a compact brush, like the well-loved Omega #11047 Mighty Midget Boar/Badger Shave Brush. Standing at just 73 mm tall, this Omega brush features a fan-shaped bristle loft for easy lathering and a sturdy handle. Don’t want to give up your favorite brush while you travel? We don’t blame you. A simple solution is to put your full-size shaving brush in a tall prescription bottle. This will protect your bristles throughout the trip. If you don’t have one on hand, you can purchase them cheaply at a local drugstore or pharmacy. Don’t forget to drill a small hole into the lid to facilitate drying. Unfortunately, you’ll have to ditch your fancy wooden soap bowl, as the lid won’t close securely during flights. Plus, the bulky size of these screw-top bowls makes them hard to fit into a small carry-on. Thankfully, there’s an easy solution. Slip your puck into a Ziploc container. You can also venture into the world of shaving sticks, which create foolproof lather right on your face. No mug is necessary with a shaving stick (saving you a little room in your bag). Since shaving sticks are solid and come in tubes, you don’t have to worry about anything popping open or leaking. Plastic hinged-lid containers (like these from The Container Store) transport shaving cream well, and are available in multiple sizes depending on how much shaving cream you’d like to bring. Since the lids don’t fall off, you won’t have to worry about leaks. Some companies also make shaving cream tube versions of their shaving creams. You can find Taylor of Old Bond Street’s popular fragrances, including Eton College and St. James, in a shaving cream tube. When you travel, you’re going to be a lot more active than usual, which means you can easily get dehydrated. To keep yourself and your skin in good shape, remember to drink lots of water and to bring a rich aftershave balm. Truefitt & Hill has a luxurious travel-sized version of their Ultimate Comfort Aftershave Balm. If you want to kill two birds with one stone, the company’s Authentic No. 10 Post-Shave Cologne Balm works as both an aftershave balm for sensitive skin and lightweight woodsy cologne. If you prefer not to buy a separate aftershave for travel, transfer some of your normal aftershave into a flip-top bottle. The Nalgene Flip-Top Leakproof Travel Bottle is compact and worry-free. Got a trip coming up? You may think you’ll have to surrender your wet shaving routine while you’re traveling, but that’s simply not the case. Today, there are plenty of products designed to give you a pleasurable shaving experience while still abiding by strict TSA standards. Whether these products are created specifically for travel or they are compact and sturdy by nature, we’ll be taking a look at smart travel choices for razors. Check back for Part 2 soon! Before you begin packing, consider how long you’ll be traveling and whether you’ll be checking bags or bringing a carry-on only. Razor blades are not permitted in carry-ons. However, the TSA allows you to bring a DE razor in your carry-on so long as it doesn’t have a razor blade inside. So if you wish to bring razor blades, you’ll have to put them in checked baggage. That being said, in our experience putting blades in checked baggage can still sometimes warrant a TSA inspection. If you want to avoid the hassle of possibly getting searched, try to ship your blades ahead of time or purchase them once you’re at your destination. If this too sounds like a hassle, you can compromise and bring a cartridge razor or electric trimmer. While this may not be ideal, if your trip is on the shorter side (a business trip, for instance) you’ll be able to tolerate one to two days of acceptable shaves. There are quite a few great DE razor options out there for travelers. Merkur Progress features a slight but mighty frame with an adjustable head. And no need to worry about purchasing an additional case: our Merkur Progress Adjustable Safety Razor Travel Set includes a travel case and a 10-pack of Merkur Super Platinum Blades so you’re good to start shaving right after you land. Merkur also makes a specialized travel razor with a four-piece design that lets you dissemble and fit it even into the tightest corners of your carry-on. Merkur’s travel razor retains the brand’s classic head, so if you’re familiar with Merkur, you won’t face a learning curve when transitioning over. You can also consider a shavette, a straight razor-style razor that uses disposable blades. The Dovo Shavette Travel Kit comes in a leather travel case and includes a polishing cloth. Just remember you’ll have to figure out how to ship or acquire blades. If expediency is key, these two will get you seamlessly through TSA. We recommend the Edwin Jagger Diffusion Fusion Razor for a comfortable shave with the heft you’re used to getting from a DE razor. The extra-long handle gives you optimal balance, while the smooth, ergonomic shape enhances comfort and control. The Edwin Jagger Diffusion Fusion Razor uses standard Gillette Fusion cartridges, which are available worldwide, so you can get a great shave anywhere you go. For a high-functioning electric trimmer, the Philips Norelco PQ 208/40 Travel Electric Razor is a small version of the original Philips Norelco Electric Razor. You get 60 minutes of cordless shaving, and the razor’s lightweight design makes it perfect for travel. Independently floating heads follow the contour of your face. Europe beckons. But first, you must pack. For many of us who are currently seeing more rain than sun, summer vacation is like a lofty dream. While you probably can’t hop a flight out of town fast enough, you need to deal with the logistics of packing the luggage. It’s not exactly a part of traveling anyone looks forward to, but we’re here to make things easier. Read on for a streamlined packing list that emphasizes multifunctional pieces so you can spend less time packing and more time actually enjoying the vacation. Because a big part of traveling in style is getting from point A to point B succinctly. Pack pint-sized versions of everything you usually use at home. In addition to obvious essentials like toothpaste, a toothbrush, mouthwash, and a comb, don’t forget the gentleman’s essentials – a razor, brush, and shaving cream. We like Baxter of California Travel Kit with Dopp Bag because it packs everything we need into TSA-friendly containers, from face wash to shaving cream and after shave balm. We recommend a travel razor like the Merkur 45 Bakelite Safety Razor, and a boar bristle brush made specifically to fit neatly into your luggage, like Kent BK4 Traditional Small Silvertip Brush. Traveling is hard on your body. Even if you’re used to eating well and working out, chances are during a trip you’ll change your diet and exercise regimen (i.e. there will be none). 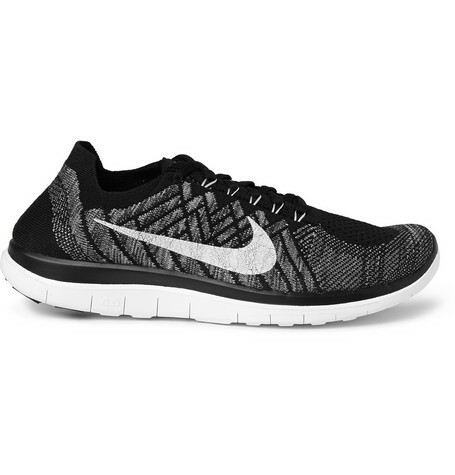 Carve out just half an hour every day to take a morning jog around the city in these Nike Free 4.0 Flyknits, developed with Stanford athletes for fast, easy movement. In gray and black, they’re pretty slick, too. For the rest of the time, stay stylish yet comfortable in some low-profile chukkas. Wear these during your flight to pack one less thing in your luggage (or to make room for your running shoes). Summer vacation packing necessitates considering the weather. Less is more if it’s warm where you’re going, and when it’s 89 degrees and humid, nothing beats a T-shirt. 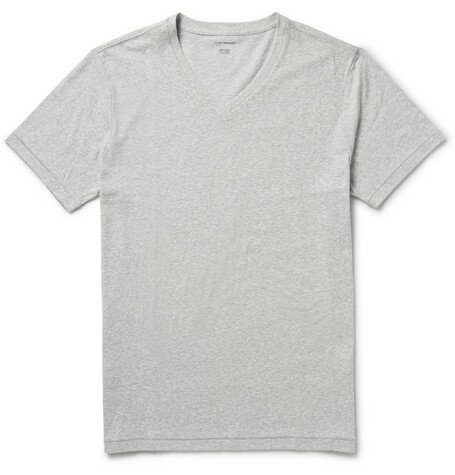 This gray Club Monaco Cotton-Blend Melange T-Shirt literally goes with everything, and can be dressed up or down depending on the occasion. While we’re advocates of packing light (and thus minimizing frustration), you should always have a few extra pairs of socks and underwear. If you’re bringing dress shoes, consider Mr. Gray Loafer Socks in Charcoal, which keep feet dry and go invisible under loafers. For underwear, stick to breathable fabrics like cotton, silk, and linen. 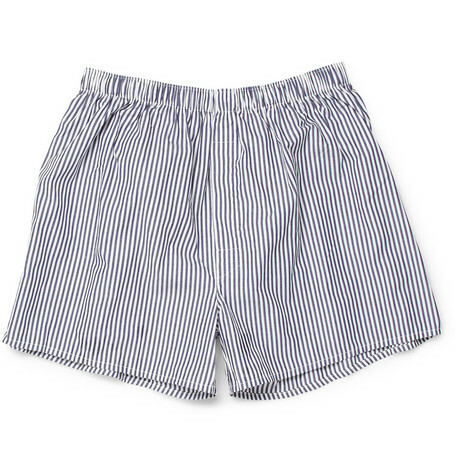 We’re fans of Sunspel’s superbly fitted boxers in Begal Stripe. Fun Fact: Sunspel has been making underwear since 1860 and crafted Daniel Craig’s t-shirts for the James Bond movies. 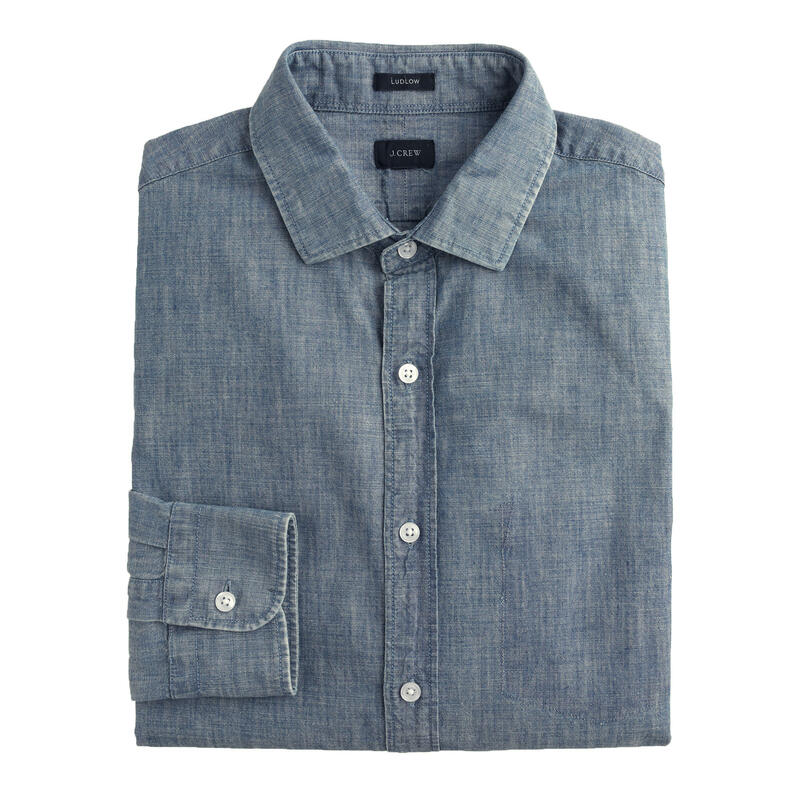 For those fancy nights out your significant other is surely to schedule, J. Crew’s Ludlow Shirt in Japanese Chambray can do no wrong. Made from Japanese cotton denim, this shirt is tailored enough for a Michelin Star restaurant but casual enough for grabbing lunch at the deli the next day. The stiff spread collar and sleek Ludlow silhouette keep you looking classy even in the most unfavorable conditions. You really only need two pants – dark-wash denim jeans, and khakis for special occasions. 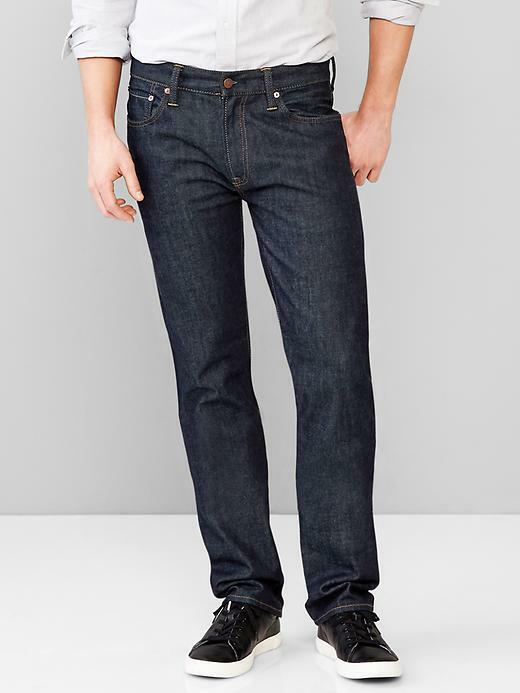 Gap makes a nice pair of straight fit dark wash jeans. These cotton jeans are sharp and comfortable for large bouts of walking. For khakis, we like Banana Republic’s Modern Slim Non-Iron Cotton Pant, with non-iron technology that keeps them wrinkle-free and worry-free. If you’re visiting an area with unpredictable weather (here’s looking at you, Birmingham, UK), dress light but prepare for the worst. 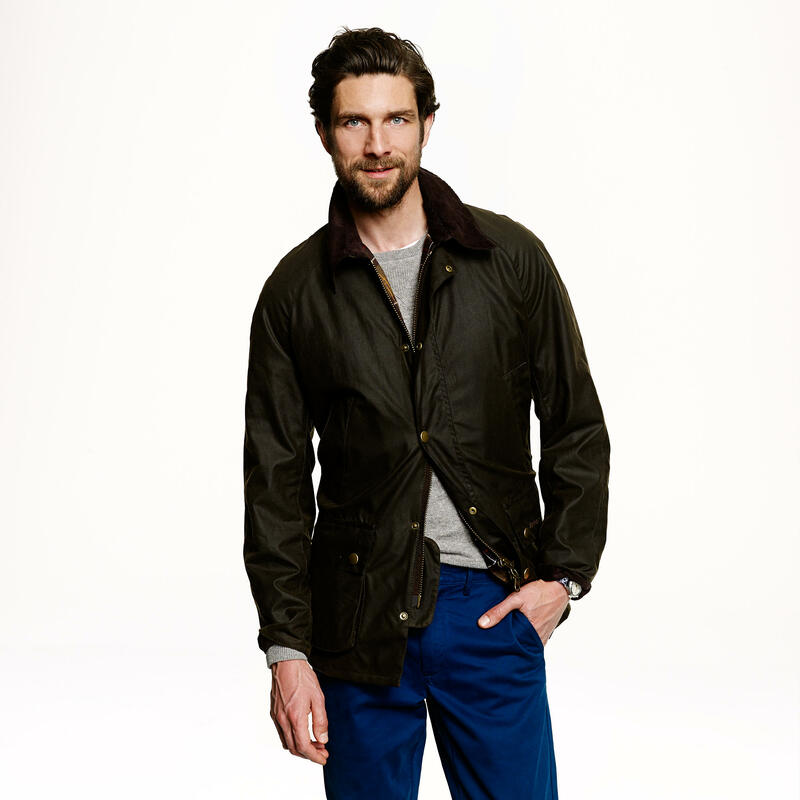 J. Crew’s Barbour Sylkoil Ashby Jacket keeps you dry without adding too much insulation or bulk. That means you can throw it on in the morning and not have to worry about shivering come nightfall. Traveling light means packing smarter. Invest in a solid weekender bag to avoid throwing in extra baggage. Keep it classy by not going for rolling luggage. 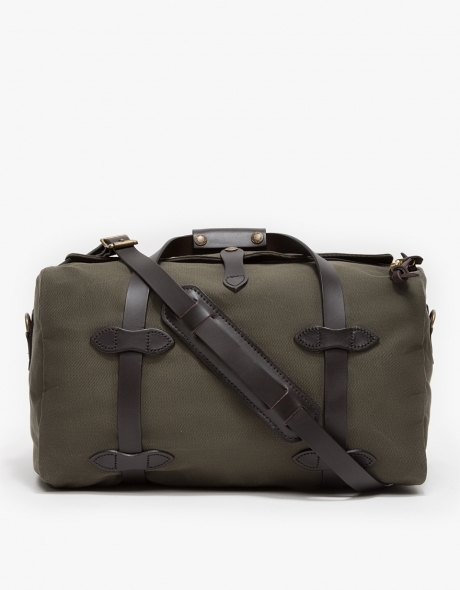 This green Filson Small Duffle Bag is made of cotton canvas with 100% bridle leather straps for durability. Never settle for those paper-thin airplane blankets again. 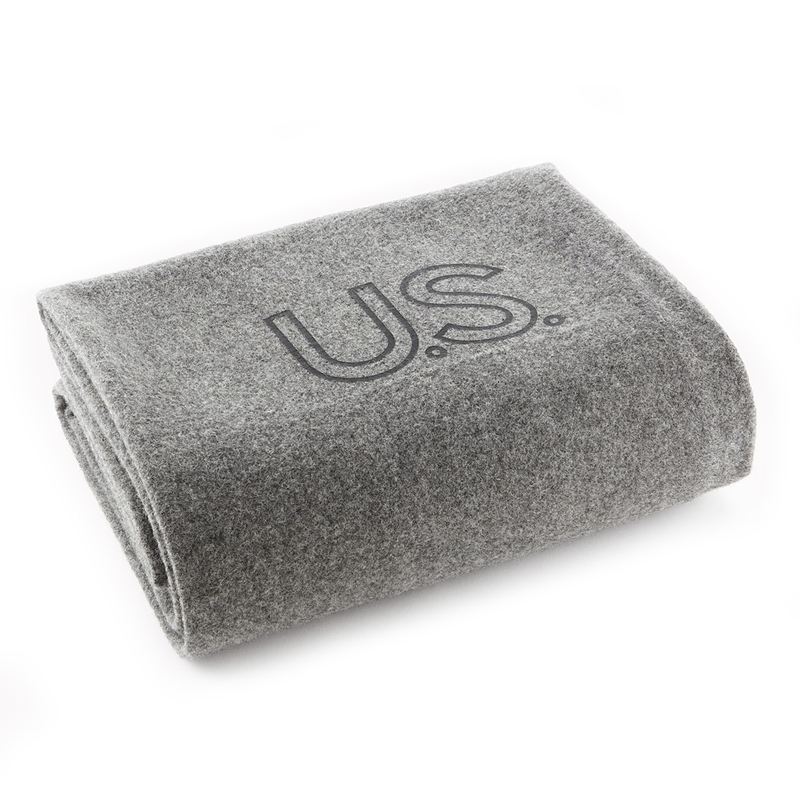 Integrate some of the comforts of home with a warm blanket like the Faribault Mill Military Navy Gray Wool Blanket, which has been made to the same specifications as the original in 1917. This blanket accommodates a wide range of temperatures, and double cloth construction keeps it light yet breathable. It’s also easy to spot clean in case you spill some in-flight tipple. A watch is always a good call. But if you’re travelling, it becomes an essential. Going to a different time zone can be disorienting, so a watch with multiple time zones can help you keep track of time where you’re vacationing and at home. 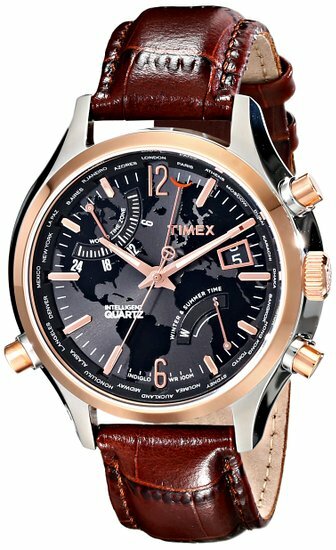 The Timex Intelligent Quartz World Time Watch can display the time at up to 24 major cities, which is enough for even the frequent traveler.